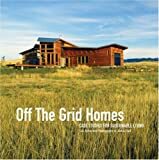 Lori Ryker, architecture professor and author of two books about Off The Grid living, will speak at Louisiana state University college of art & design, Wednesday, Jan. 27, at 4:30 p.m. in Room 103 of the Art & Design Building. The lecture is free and open to the public. Lori is researching the relationship between communities and the larger environment relative to design and building practices. Ryker makes her home in Livingston, Mont., where she teaches, designs and writes about architecture. She has taught at Montana State University, North Dakota State University, Texas A&M University and Auburn University. She focuses on creativity, environmental responsibility and personal empowerment. She is also the principal and founder of Studio Ryker, a design studio that focuses on design projects from jewelry to building and research projects. Lori was also a founding partner of Ryker/Nave Design, a firm that focused on ecologically inspired and sustainable architecture. She has lectured nationally on issues of design, environmental responsibility, Artemis Institute and alternative technologies. Lori Ryker earned a master’s degree from Harvard Graduate School of Design and a doctorate from Texas A & M University, and has taught at Montana State University, Texas A & M University, Auburn University and North Dakota State University.